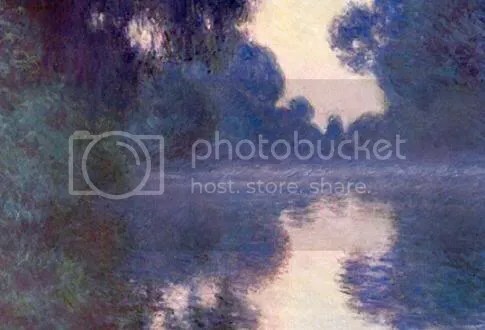 On Wednesday, I went to see the Monet and the French Impressionists exhibition, which is currently on display at the Art Gallery of New South Wales. Renoir and Degas (and I suppose Monet) are among my favourite artists, so I was ecstatic when I heard the exhibition was coming to Sydney. Sadly, as with all popular attractions, there were far too many people and far too little space. The paintings, depicting fresh bursts of light and colour, were crammed into ornate gilt frames. Much too heavy. I wanted to set them free, poor things. One thing the exhibition did was fill me with a desire to read French literature (sparked mostly by the Gallery Shop, which offered an overpriced selection of Penguin Classics). I’ve been meaning to read Le Grand Meaulnes for a while, and there are so many French writers I want to read – Zola, Proust, Camus, Flaubert. At times like this, I wish I hadn’t meticulously planned out reading lists and projects for the year ahead, because I haven’t any space for spontaneity. Thing is, I’ve listed a ridiculous amount of books for each of my projects, so I’ve joined yet another – the Chunkster challenge. There is logic behind it, I assure you. In 2009, even if I don’t get around to reading countless other books, I want to make sure I complete the ten Chunksters at least. But don’t worry; I’m not about to drown myself in books – these have all been selected from existing to-read lists. Except the last one, but it’s a belated Christmas present for my sister, so it doesn’t count. Right now I’m reading Anna Karenina, and it’s made me realise that the circumstances in which we read books affect our opinions of them. The last time I attempted Anna Karenina was in winter of ’07, while I was attempting to study for my Semester 1 exams. Didn’t go so well. I found it dreary, and a chore to plough through. Now I’m completely immersed in 19th century Russia, and in Tolstoy’s masterful prose. It’s a remedy I would recommend to anyone – if you find a book dreary, read it in summer. Works well in any scenario. Also, Claire of kiss a cloud recently informed me that Byatt is releasing a book in 2009! I’m already excited, because of the Art Nouveau cover. This might possibly be the first book – ever – that I’ll purchase in hardcover format. I detest hardcovers, so that’s saying something. Almost forgot – I was tagged earlier this week by zawan, to write seven things about myself. I’m meant to tag seven people, but consider yourself tagged if you’d like to participate. One I’ve been saying on this blog, all year long, that I’m 18 but I was actually 17 until the end of last month. Two Art is my true love and passion. In fact, I almost became an Art student but on a random whim, I decided to take up English Extension 2 instead of Visual Arts in my final year, and now I have no proper portfolio to present. Besides, all those artsy colleges aren’t government funded, so I wouldn’t be able to HECS my fees. Three My dreams are out-of-reach and amorphous in nature, although I suspect that has something to do with my age. Until I was six, I wanted to be a writer. Then I decided my life’s ambition was to be a fashion designer; that stayed with me for a while. I still have piles of sketches gathering dust in my room, and I occasionally sew my own clothes. When I was fourteen, I wanted to be an architect. At sixteen, I wanted to work for the UN. Now I just want to graduate from uni; I’ll figure out the rest later. Four I’m left-handed, but I think my right hand is pretty nifty. It comes into use for a variety of miscellaneous things. For instance, I use my right hand for the computer mouse, and this allows me to write things down while I check my email. Take that, righties. Five I can’t blow up balloons. This is an embarrassing – and unfortunately true – fact. Six I hate the sight of painted toenails. Seven I never once believed in Santa Clause, because I always saw my parents putting the presents under the tree when they thought we were asleep. Oh, it’s begun to rain. There’s something very ferocious about summer storms. Wow, what a great list of books! How fun. Happy birthday! I do most things with my right hand, but I eat with my left hand only. It comes in handy when I was eating and finishing homework. Congratulations on the first hardcover you’re considering ha ha! I’m quite excited about that book, too. I admit I didn’t love Possession as much as you did, but The Children’s Book sounds covetable. P.S. Which translation of Anna Karenina are you reading? I love Tolstoy even though he’s certainly not an easy read. I loved Anna Karenina. War & Peace was a more difficult read, but I’m glad I read it. Kristy – I’m reaally looking forward to reading War and Peace. It’s been on my to-read list for such a long time! I loved Anna K when I read it in the Garnett translation, although it took me awhile to get a hang of the Russian patronymics. I aim to read War and Peace in ’09. If you are reading French literature, I should put in a word for three favourites of mine-Madame Bovary by Flaubert, The Ladies’ Paradise by Zola and The Plague by Albert Camus. I’m similarly excited about the new Byatt book. adevotedreader – so far, I don’t have any complaints to make about the translation. It’s a bit of a hassle flicking back and forth to read the notes, but I’m enjoying myself. I think this is my first “serious” venture into Russian lit. Had a brief encounter with Dostoevsky, but it didn’t lead to anything, hahah.